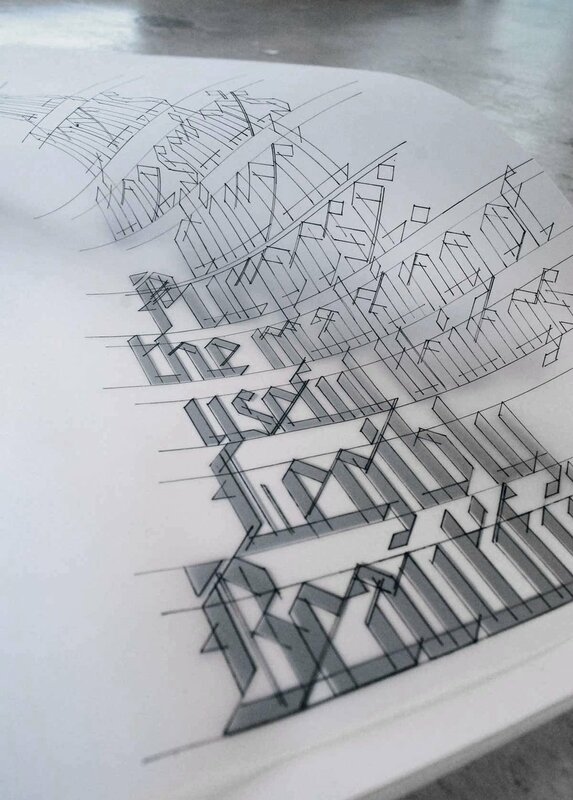 Edward Johnston is recognized as the predominant individual who revived handlettering, more specifically, calligraphy. The Edward Johnston Foundation in Ditchling, Sussex not only commemorates Johnston's life and work, but is also dedicated to continuing education in calligraphy and allied subjects. Inspired by my passion for handlettering and that fact that the Foundation offers courses on site, I designed a commemorative sketchbook that could easily be used in such classes. 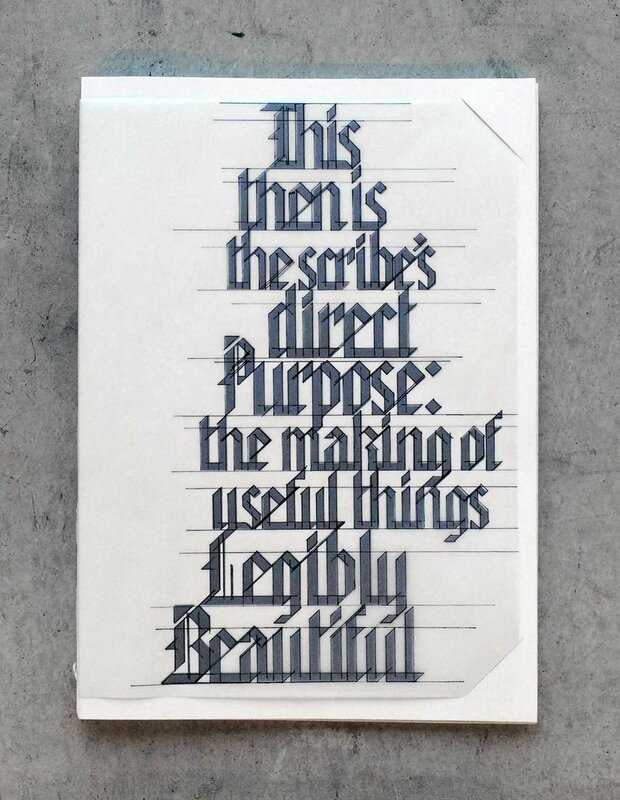 The quote, “This then is the scribe’s direct purpose: the making of useful things legibly beautiful,” by Edward Johnston acted as the centerpiece for a handlettered sketchbook. The cover is made of two elements: a vellum skeleton of the quote and the actual inked quote underneath on paper. I based the skeleton directly on the steps and marks I made to reach the final quote bellow. The exposed binding was done by hand to further illustrate the idea of working with your hands to create beauty.